Learn more about our year round volleyball camps and clinics. Learn more about our volleyball tournament programs and facilities. Shop our online store for Circle City clothes and accessories. New to the game or looking to brush up on your skills but don't have time to commit to a full club season? Our Friday Night Development Program ran by our Director of Youth Player Development, Anita Liptak, is perfect for you! This seven week program will focus on a general introduction to the game of volleyball and the fundamental skills. Want to know about all of the new and exciting things happening at Circle City? Receive the latest volleyball news and updates. Become a member of our email list today. Enroll in a Circle City Volleyball camp or clinic with our easy to use online registration. 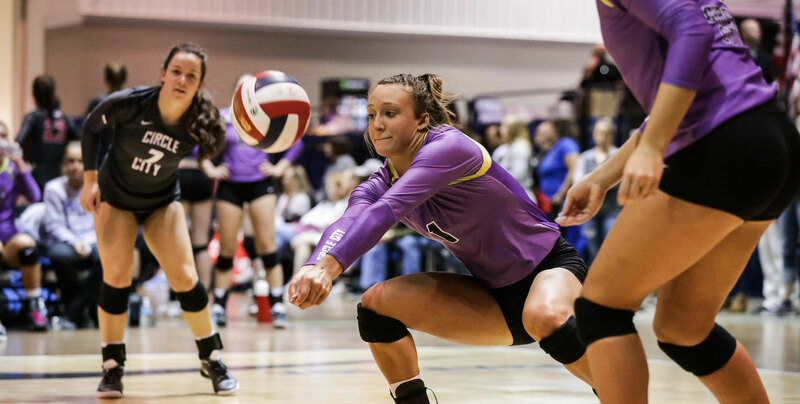 Circle City Volleyball Club has helped hundreds of student-athletes with the recruiting process. For those new to club, and even those who have played at Circle for years, the rules and requirements can seem a little overwhelming. For help with the process visit our recruiting page and contact our Recruiting Coordinator! TOURNAMENT REGISTRATION - Easy and fast online. Register your tournament today!